The Cyber Knights, a Middle Georgia State University (MGA) student club that competes in events to demonstrate cybersecurity skills and knowledge, placed in top tiers of recent National Cyber League competitions. Middle Georgia State students, all information technology majors, were divided into three teams for the competitions, which took place in late April. They are coached by Nelbert "Doc" St. Clair, a professor with MGA's School of Information Technology and director of program and outreach of Middle Georgia State’s Center for Cybersecurity Education and Applied Research. Here's how the students did: Tyler “Ras” Rasmussen’s Cyber Knights team placed 19th out of the field of 266 national competitors. His team members included Jessica Whidby, Taylor Brantley, Jacob Corley, and Roger Rambo The team earned 2,635 total points out of a possible 3,000. The second team, led by Tanner Hughes, finished 49th of out 266 teams. The members of this team included Meredith Moore, Jared Morehouse, Richard “Tyler” Price, and Dallas Hoffman. The team earned 2,065 total points out of a possible 3,000. The third team finished 89th out of 266 teams under the leadership of Ryan Johnson. Team members included Sean Kessinger, Jesse Wilhite, Adam Richards, and Jason Ellingson. The team earned 1,645 total points out of a possible 3,000. During the competitions, teams share ideas and work as one to complete the challenges presented to them. The challenges test their practical knowledge and ability to work as teams. 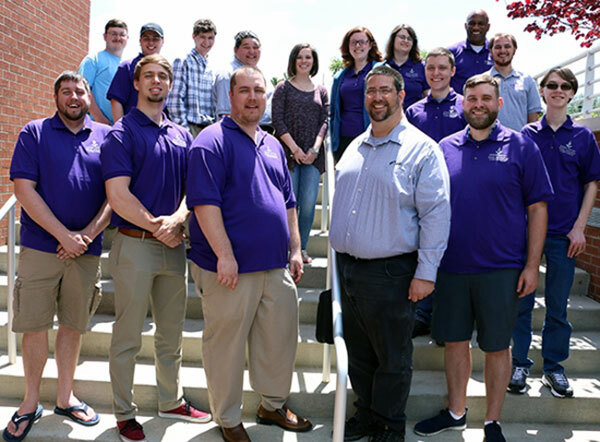 MGA's School of IT provides a virtual training ground for the University’s students to develop, practice, and validate their cybersecurity skills using next-generation, high-fidelity simulation environments. “This is my last time competing in the NCL," said Rasmussen, a senior. "Although we didn’t win first place, the team and all individual Cyber Knights improved in every area since the last time we competed." In individual competition, held April 17-19, six MGA students placed in the top 10 percent among the several thousand participants from various colleges and universities: Tyler Rasmussen (ranked 9th), Jacob Corley (89th), Jessica Whidby (114th), Taylor Bentley (233rd), Jason Ellington (258th), and Roger Rambo (274th). Learn more about MGA's Center for Cybersecurity Education and Applied Research at www.mga.edu/ccear.